Another interesting facts from the UK: last week the results of a survey showed that it takes an average of 20mn for men to ask for their direction. And this week, let's talk about another commonly debated topic: home improvement! Do-It-Yourself (DIY): women better than men? * ... But men dispute the trend, with just 4% agreeing their wives did most of the jobs around the house"! In a recent article posted on the blog from L'express magazine, I found list of blogs from networking groups for women. If you are a professional woman I would advise to check the website from the excellent networking group, EPWN. I know this network very well: the members are bright, open-minded and available, the team is great, and the events are always excellent! Moreover, it is a real pan-European network with chapters in Paris, London, Oslo, Geneva, Vienna, Amsterdam, Sophia, Brussels, Milan, Madrid. Earlier today, I was looking for blogs about EPWN on google: I found that article posted on ZDNet.fr. I met Malika a couple of years ago at an excellent EPWN event in Paris. Malika is very dynamic and successful, with an impressive career in IT and at Microsoft. Congratulations for that interview! Please find below an article published recently in the UK. This is a reminder that breast cancer does not only kill Women! A national awareness campaign may even be launched in the UK soon. Men are dying unnecessarily because they do not know to check for signs of breast cancer, a doctor warns today. Around 70 men a year die from breast cancer and 250 are diagnosed. I would like to share with you an article I have just read today: on many occasion, we had to deal with breast cancer in my family. And I am not the only one... But we need to communicate to make things go forward! This new drug could prove to be very useful and could play an important part in saving hundreds of thousands lives. One in every nine women in the UK will develop breast cancer at some point in her life - more than 41,000 cases are diagnosed each year. It has become the most common cancer in the UK, and is the leading cause of death for women aged 34 to 54. 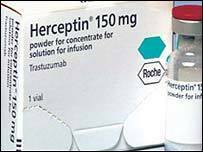 All women with early stage breast cancer are to be tested to see if they could benefit from the drug Herceptin, the government has announced. The drug is currently only licensed for use in women with advanced breast cancer. But it is also thought to be effective at treating the early stages. LONDON, England -- Social psychologists have identified a new obstacle to female success in the workplace. "Growing numbers of women are smashing through the so-called "glass ceiling" into senior managerial roles, but many are finding themselves in precarious positions with a high risk of failure, according to Professor Alex Haslam of Exeter University. Professor Haslam's research followed an article last year in The Times newspaper of London, which questioned the performance of FTSE 100 companies that had appointed women to their boards. Read all about it! Sarah Sands, the new editor of The Sunday Telegraph, ex-associate editor of The Evening Standard, author and broadcaster for BBC2's Newsnight Review joins EPWN-London on Sept 13 to talk about newspapers and women. Time was newspapers were the private preserve of men, written by men,largely for men. There's no question things have changed a lot in Fleet Street, from women-friendly supplements to the number of female editors - and at the Mirror Group their first female chief executive. But are women getting what they really want from newspapers? What is it like for women working newspapers? And what is the difference between a headline that works for a female reader and one that works for a male reader?